Once described by the actress, Joanna Lumley, as ‘the man with no fear’, Tristan Voorspuy spent his whole life living up to the legend. Early stints in Northern Ireland and Germany with the Blues and Royals were followed by an epic motorbike ride from Cairo to Cape Town, which led on to an extraordinary life surrounded by wildlife in Kenya. 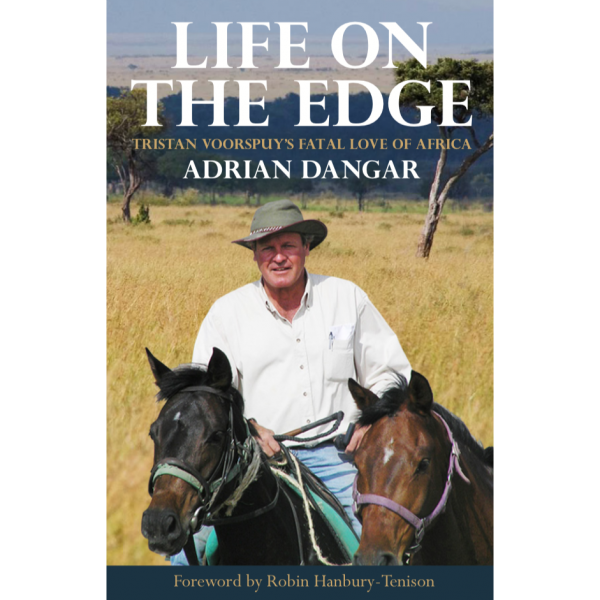 Life on the Edge is a story of compassion, conservation and, ultimately, tragedy. In the last two decades of his life, Voorspuy transformed the overgrazed and drought-blighted Sosian ranch in Northern Kenya into a celebrated game reserve, acclaimed tourist destination and successful cattle ranch. True to form, it was whilst defending this property that an unarmed Tristan was gunned down and killed, a murder that sent shockwaves around the world. 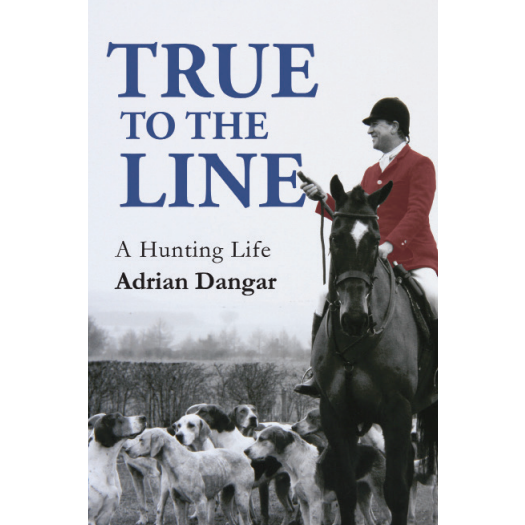 True to the Line is Adrian Dangar’s recollections of his life at the sharp end of hunting, during which he was a Master and huntsman of three very different hunts in three unique regions of England – Dartmoor, North Yorkshire and Leicestershire. During this time, the author came into close contact with many fascinating characters that live and work in these beautiful landscapes. True to the Line portrays these rural lives alongside hunting, hounds and foxes, together with the challenges, frustrations and rewards of organising modern hunting in an illuminating and anecdotal style. This book not only covers his account as the first amateur huntsman of the Quorn in 80 years, but also his time as hunting correspondent, hound judge, conservationist and all-round countryman. Accompanied by Daniel Crane’s charming pencil sketches. Adrian Dangar became MFH and huntsman of the Spooners & West Dartmoor Hunt at the age of 24 where ran the kennels and country single handedly for 3 seasons. He was MFH to the Sinnington in North Yorkshire for 11 season and only the second amateur huntsman in 300 years to be appointed MFH to the Quorn in Leicestershire. He has judged all the major hound shows in Britain, including the Peterborough Royal Foxhound Show three times, the Australian Hound Show twice, and the Western Hunt Challenge in the USA. In 2000 Adrian founded Wild & Exotic Ltd, a bespoke travel company specialising in riding safaris, fly fishing and tailor-made journeys around the world. He was encouraged in this venture by close friends, Tristan and Cindy Voorspuy, and in the last twenty years has sent numerous clients to enjoy their Offbeat riding safaris and holidays in Kenya, often accompanying groups riding in the Maasai Mara, Amboseli and Laikipia. He has also travelled extensively throughout the rest of southern and eastern Africa, North and South America, India, Jordan and central Asia. As a writer, he contributes on a regular basis to Country Life, The Field, Horse & Hound and Trout & Salmon. Published by Quiller in Shropshire, Life on the Edge is his second book. When not travelling, Adrian’s pastimes are hunting, rough shooting and chasing salmon in remote streams on the West coast of Scotland. Pictures courtesy of Jim Meads, Mark Egerton and the Author. Please click here for information on the author’s travel company offering riding safaris, fishing and bespoke travel, around the world.